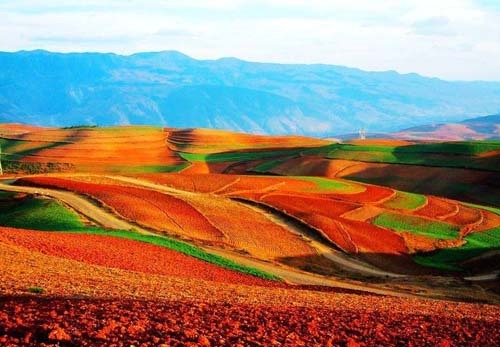 Dongchuan (dōng chuān 东川), located in the southeast side with more than 40km away from Kunming City (kūn míng 昆明), is a district under the jurisdiction of Kunming Prefecture, Yunnan Province. It is a rural area in the northeast of Kunming and is believed to hold the world's most imposing red earth, even more magnificent than that in Rio de Janeiro, Brazil. 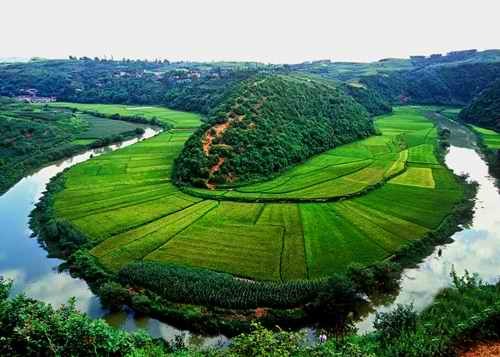 It is the most massive red land with typical features of Yunnan plateau. With gorgeous and colorful hues, the red land is praised as a palette on earth, and is more and more favored by backpackers, hikers and photographers. It is seldom visited by general tourists for its remoteness and inadequate lodging facilities. However, the land with picturesque scenery is paradise for photography fans. Xingyun Lake (Xīng yún Hú 星云湖) also known as Jiangchuan Sea (Jiāng chuān Hǎi zi 江川海子), is a plateau lake in Yunnan Province, southwest of China. It is laceted in Jiangchuan County (jiāng chuān xiàn 江川县). 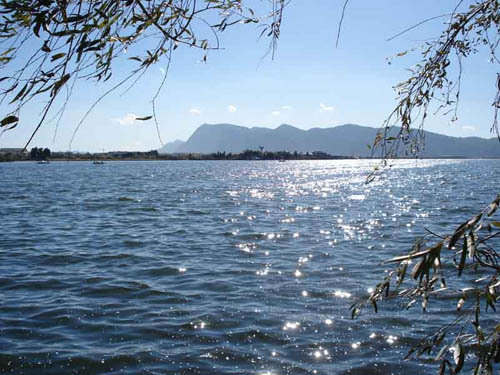 The Xingyun Lake and the Fuxian Lake (fǔ xiān hú 抚仙湖) are separated by a mountain and linked by Haimen River (hǎi mén hé 海门河). The glistening light of the waves is charming and attractive. During the cloudless night, the bright moonlight shines upon the lake, looking like numerous stars glinting and falling into the lake. It also looks as brilliant as the cloud. So the lake get its name Xingyun Lake (literally Star-Cloud Lake). Situated in the northwest of Yunnan Province, Nujiang Lisu Autonomous Prefecture (nù jiāng lì sù zú zì zhì zhōu 怒江傈僳族自治州) neighbors Lijiang City (lì jiāng shì 丽江市), Shangri-La (xiāng gé lǐ lā 香格里拉) and Dali (dà lǐ 大理) prefectures in the east. It is also bordered by Tibet in the north and shares a boundary of nearly 450 kilometers (280 miles) with Burma in the west. Ethnic minority groups inhabiting this prefecture include the Lisu (lì sù 傈僳), Nu (nù 怒) and Dulong (dú lóng 独龙) people. Jiuxiang Scenic Region (jiǔ xiāng fēng jǐng qū 九乡风景区) is located in Jiuxiang Yi and Hui Autonomous Township of Yiliang County (yí liáng xiàn jiǔ xiāng yí zú huí zú xiāng 宜良县九乡彝族回族乡) 90 km away from Kunming (kūn míng 昆明) and 22 kilometers north of the Stone Forest (shí lín 石林). 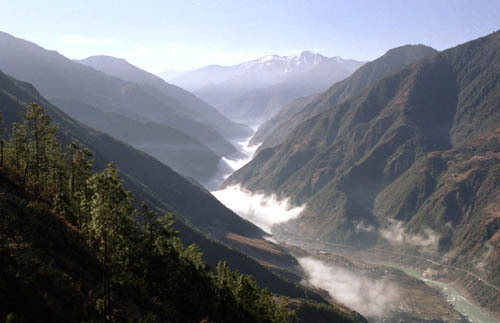 In Yunnan Province it is a well-equipped comprehensive scenic region which is famous for its caves, mountains, rivers, deep valleys, minority customs and cultures. It has a mild climate all the year round. Its temperature is similar to Kunming's and the average temperature throughout the year is 14.6°C. 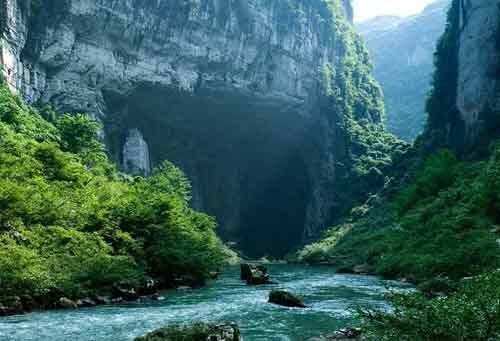 Known as one of "the biggest and most splendid cave in Asia", the Swallow Cave (yàn zǐ dòng 燕子洞) Scenic Region is located in the mountains 30 km east of Jianshui (jiàn shuǐ 建水), and consists of a dry cave, a water cave and a 30,000-square-meter natural forest, with a total area of 100,000 square meters. Every year between spring and summer, thousands of swallows will fly here from Malaysia, building nests and giving birth to and raising young swallows. Thus it is named "the Swallow Cave". The local environment is a perfect dwelling for swallows because steep cliffs make it impossible for mice and snakes to come up, and bushes and grassland outside the cave help produce insects that provide abundant food for swifts. The special ecosystem makes a grand scene-"the gathering of thousands of swallows".